Often in parenting circles things are discussed in such a way that everyone assumes something is real. I’ve found this to be the case with sleep regressions. Not to toot my own horn, but my client count is now pushing 5,000 families. After working with so many babies I started to wonder, are baby sleep regressions real? 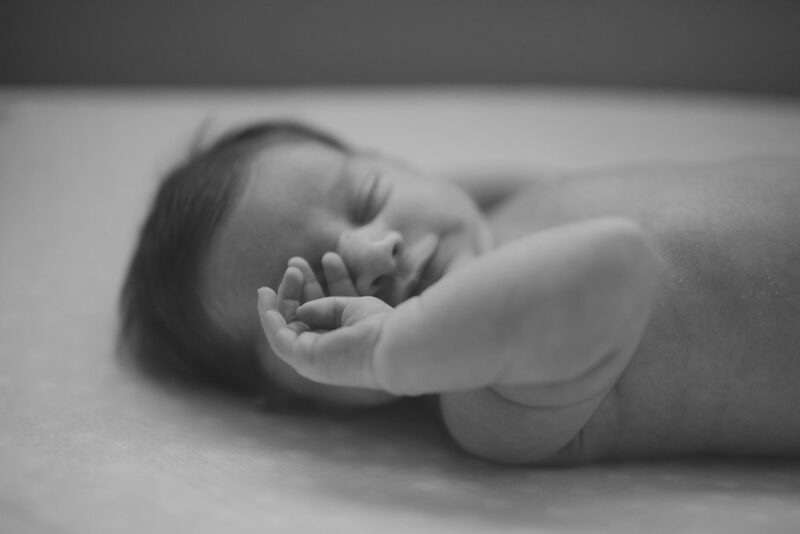 Certainly there are times when babies have a marked shift in their sleep habits, such as during the infamous four month sleep regression, but are there truly other sleep regressions for all babies? Do they always happen at the same time? I think the term “sleep regression” is a misnomer. Instead, I like to explain to parents that there will probably be a reason your child doesn’t sleep well at night about every 4-8 weeks. If you think about your own sleep, perhaps there are times about every month, or every other month, that for some reason you just don’t sleep well at night. Babies and toddlers experience this too! And the fact of the matter is that all sorts of things disrupt a child’s sleep. It can be separation anxiety, illness, or just a random wake up. Babies are mini-versions of a set of traits and tendencies that will eventually turn into the adult version of who they are. Some humans are more sensitive, and if they’re woken up for any reason overnight, they may seriously struggle to fall back to sleep. They may sincerely struggle sleeping in new places, or out and about where there is a lot of noise. Personally, I am deeply frustrated by my immensely sensitive sleep nature. Recently I spent the night at a cabin with many other friends. This rather rustic cabin had less than comfortable bedding and I stupidly picked the top bunk, which meant I couldn’t easily go to the bathroom or retrieve my forgotten Chapstick. In 100% honesty, I never fell asleep the entire first night I was there! This was by far one of the most frustrating experiences of my adult life! I literally can not sleep on planes, in cars, or usually anywhere other than my own bed. If my spouse is snoring or moving too much, one of us (usually him ;)) moves to the couch. If it’s not a sleep regression, then what is it? I share these illustrative examples to help you as a parent understand that almost every time your child struggles with their sleep, it’s a lot more likely something other than a regression is disrupting their sleep. In my extensive experience I have noticed two distinct periods when a child can go from sleeping normally to suddenly sleeping poorly – around 4 months and around 10/11 months. Around 4 months of age, babies seem to suddenly mature into a more adult-like sleep pattern (meaning they wake at the end of each sleep cycle, and often when transitioning between stages within the same sleep cycle). And however they’ve been assisted to sleep for naps and bedtime, they require this same assistance to continue sleeping when they wake up. In this case, I wouldn’t even call it a true “regression” as much as a maturation. Parents may notice that their child is waking more, but they’re not regressing – they’re maturing. Around 10/11 months is the only real time I consistently notice children who were sleeping well (especially for naps) suddenly stop taking one nap each day, or otherwise truly fighting sleep. It’s as if their awareness and age gives them more stamina to fight sleep during the day. Many families even mistakenly think it’s time to transition to one nap. Outside of these two time periods in a child’s life, any disruption in a child’s sleep shouldn’t be viewed as a sleep regression. Remember, if your child is not yet sleep trained you may find that your child often struggles with their sleep. 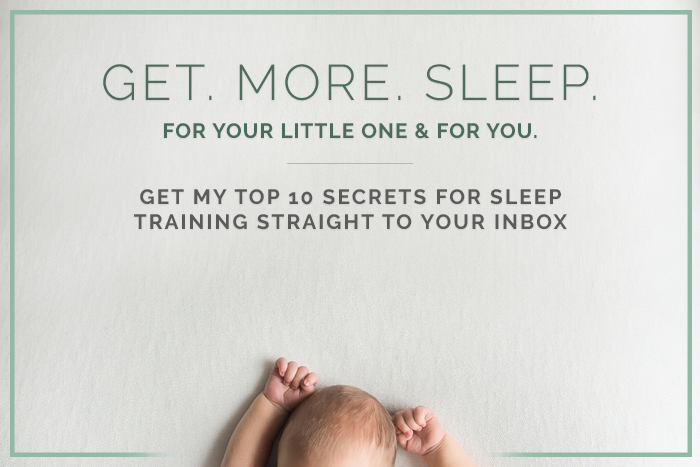 Sleep training them usually resolves whatever issue your child is experiencing. Enter the room, pick up your child, identify what is wrong, address what is wrong but keep your child awake while doing so (ie. administer pain relief or fever reducing medication as directed by the pediatrician, hydrate baby, calm them, etc). Then once you have done everything you can to alleviate, relieve, or address what is wrong, put your child down awake and walk out of the room, allowing them to fall back to sleep unassisted. If your child is ill, room share with them so you can immediately address whatever is wrong if they wake up. This can be applied equally for naps, keeping in mind that it’s best not to interact with kids during naps unless you suspect something might be wrong as it’s much harder for children to sleep for naps than it is for them to sleep overnight (since there’s a lot less melatonin in the body during the day than there is at night). How long until the sleep disruption passes? The good news is, if your child truly is sleep trained and is experiencing some type of sleep regression for any reason, as long as you don’t begin to assist them back to sleep, the “regression” will pass and they will go back to normal within 1-2 weeks. As an added note, if your sleep trained child suddenly starts sleeping poorly at night for many nights in a row with no identifiable cause, make sure that it’s not time for them to transition from 3 naps to 2, or 2 naps to 1. The term sleep regression is almost always a misnomer because what’s actually happening is a disruption in your child’s sleep for reasons such as illness, teething, separation anxiety. Make sure to identify what’s wrong, address while keeping your child awake, and then put them down awake and always. Allow them to fall back to sleep on their own, keeping in mind to room share if your child is ill.
As long as you don’t begin to help your baby fall back to sleep during a regression or sleep disruption, they will go back to normal within a week or two. This has been incredibly helpful. Thank you so much, Natalie.